Applications will open on February 1st for the following academic year. Applications submitted before February 1st at 12am will not be examined. Applications must be submitted before July 1st of each year for the following academic year. Applications submitted after June 30th 11:59pm will not be examined. NB. The admission committee reserves the right to propose engineers’ applications for a M1 (instead of a M2) after examining their applications and according to their background. NB. If you apply for the wrong year (M2 instead of M1 or the other way round), the examination of your application will be delayed. NB. No certificate is required for native English speakers or students having completed their undergraduate studies in a program taught entirely in English. In such case, replace the certificate by a document (PDF file) explaining why you don’t need to provide a certificate. Your level of English will be verified during the Skype interview if your application is selected. 7. Name and contact of your 2 main academic referees. A request for a letter of recommendation will be directly sent to them. What we mean by academic referees: professors in your university of origin and outside if possible (e.g. a laboratory you worked at), in scientific or technological fields. We only accept their professional/academic email address (no hotmail, gmail or personal email address). You will be informed by an automatic email as soon as we receive their recommendation letters. You will also be informed a few days before the end of your batch if we still haven’t received their letters so you can contact them directly and remind them to send it before the deadline. As long as we haven’t received the 2 letters of recommendation, your application will NOT be examined. In order for your application to be examined, it must be complete. It is your responsibility. • Your application is not complete and it will be examined when it is complete. It will be moved to the next batch and so on until it is complete. Please note that it is in your best interest to apply as early as possible, as some or all tracks may be full after the first rounds of admission. Foreign students should apply particularly early given the length of procedures to obtain a visa. During the examination of your application, you may be contacted by some faculty for a phone, in-person or skype interview. • Or you will be notified that you are put on the waiting list. In this last case, your application will be examined by the last commission (provided that some positions are still available at that stage in the tracks you have applied for) and the final decision will be sent to you by July 31st at the latest. NB. Please note that once your application is accepted for the M2 track you chose, you will not be able to change tracks. Make sure you choose the track that really corresponds to your aspirations. 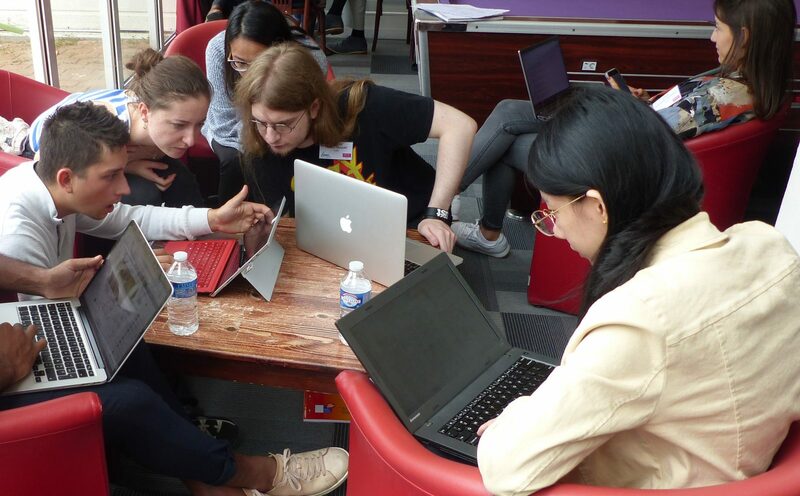 Students accepted into the program will be required to enroll at one of the three partner institutions (Arts et Métiers ParisTech, Université Paris Descartes or Université PSL). It will mainly depend on their background (e.g. students who obtained a Paris Descartes Bachelor degree will enroll there) but it can also depend on a specific grant they may have obtained. You must save these dates when you decide to apply for our program. It takes place on the first Tuesday of September (e.g. September 3rd 2019). M1 students must attend the 3 integration days which will take place on September 4th, 5th and 6th 2019. It will consist of a pedestrian rally around Paris in teams and different workshops dealing with how to prepare an interview for a job/internship. You will receive more details around the end of August but you must save the date if you are authorized to enroll in our program. If you are part of our program you will have to attend an offsite interdisciplinary seminar involving ALL students from the five different tracks of the second year of the master’s program (BIN, BIM, BioMAT, BioMECH and MCB). The main aim of this seminar is for you to know each other and to get an initiation to what designing a research project in bioengineering means. 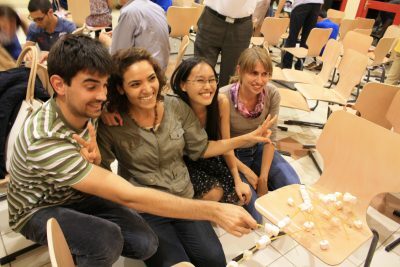 During this one-week event, you will work in small groups to elaborate and write interdisciplinary research projects under the supervision of faculty members from the different tracks as well as invited researchers. You can check where each course takes place on each course description (Program). It takes place on the Friday right after the interdisciplinary seminar is over (e.g. September 13th 2019). You will receive a “save the date” in July usually. But you will receive the real invitation as soon as your track chairs send the official list of graduates. So the invitation is usually sent right before the ceremony. It is not mandatory but you can attend it only upon registration. You can each come along with 3 invitees of your choice, upon registration also. The real diplomas will NOT be handed to you during the ceremony, therefore there is absolutely no obligation to attend it (fake ones will be given to you on that day, they have no official value). 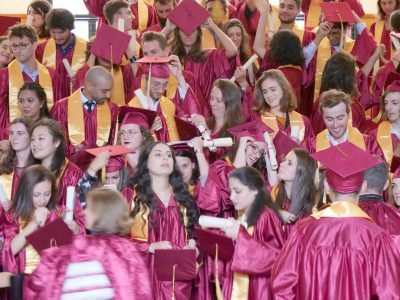 The real diplomas will mention the three partner institutions (Université Paris Descartes, Arts et Métiers ParisTech and Université PSL), regardless of where you enrolled. Tuition fees must be paid in person, upon completion of the administrative registration and before the kick-off meeting. We do not provide housing. You can find some tips in the international student guide. M2 students will have to make sure they have an extra 150€ to cover part of full board lodging during the interdisciplinary seminar (to be paid on site, the second Monday of September). Expenses for books and educational material are around 300 €. Living in Paris is expensive. For example, the cost of a room for students at the CROUS or the CIUP is between 500 and 600 € per month. You must apply directly on our website between February 1st and June 30th. If your application is accepted, you will receive an authorization of enrollment in one of the three partner institutions (Université Paris Descartes, Arts et Métiers ParisTech or Université PSL). From that point on, you will be able to undertake the procedures with the French Consulate in your country of residence to obtain a student visa. NB. 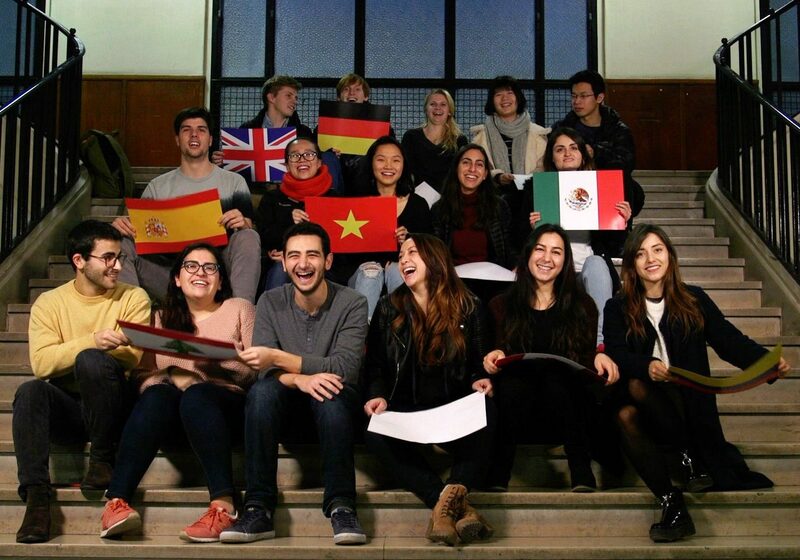 Even if the « Etudes en France » procedure applies in the country of origin, non-European students residing in Europe do not need to either return to their native country nor to follow this procedure. Warning : Make sure you select the following program on the Campus France platform: « Master Sciences, technologies, santé, mention Ingénierie de la santé / Université Paris Descartes – Faculté des sciences fondamentales et biomédicales – Site de Paris ». If you select another school than Paris Descartes, we will not be able to validate your file for you to obtain your visa. It will then be delayed. Please let me know as soon as you submitted your COMPLETE application on Campus France, so that I can validate it. 2- You must concurrently apply on our website according to the application dates mentioned above or your application will NOT be examined. You must apply directly on our website according to the application dates mentioned above. If your application is accepted, you will receive a you will receive an authorization of enrollment. From that point on, you will be able to undertake the procedures with the French Consulate in your country of residence to obtain a student visa. NB. As visa matters tend to take a lot of time, we recommend that you apply as early as possible. We are not responsible for the obtaining of your visa, so you must anticipate and respect our batch schedule. Please note that if you need an original copy of your letter of acceptance for the visa application procedure, we will mail it to you after receiving your request, via an international shipping company (UPS, Fedex or DHL depending on the country). All costs will be at your own expense. If you send your request for an original acceptance letter early enough, we might be able (if your country allows it) to mail it to you through regular mail. ln this case only, it will be free of charge for you. ln any case, you must send your request for an original letter of acceptance before July 15th. Warning: the deadline for our program is earlier than the Campus France deadline. Our deadline to ask if you can apply is November 30th (for the next academic year). You must attach to your request for an application to the Eiffel scholarship the following documents: CV, personal statement, transcripts from all your higher education years, higher education diploma(s) if applicable and one letter of recommendation. NB. You cannot apply for the Eiffel scholarship on your own. You MUST contact us and follow the above procedure before November 30th. We strongly recommend that you look for other scholarships on your side (ask the French embassy in your country) because the Eiffel scholarship is extremely competitive and it gives priority to new comers, ie students who have never been to France before.